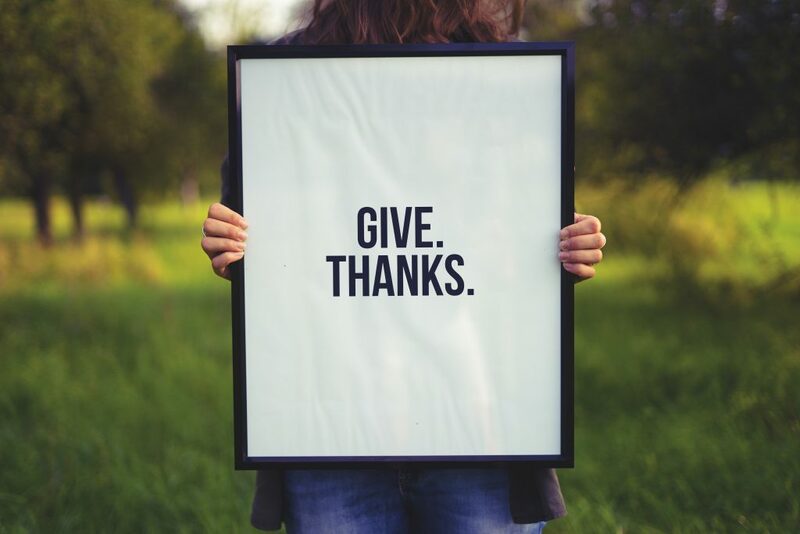 This weekend millions of people across the country will gather with family to share a meal, watch the football game and reflect on the things for which they are thankful. Additionally, it will be an opportunity to remember the people who have come before us and acknowledge those who will be missing the festivities this year. While some such people have been gone for years now, there will undoubtedly be many seats that were not supposed to be empty this Thanksgiving. For the families sitting at these tables, things may prove to be more difficult than they are joyous. Grief is a funny thing that way, seeming to always be magnified by moments that are supposed to be otherwise special. Unfortunately there is no universal suggestion that can be made for holiday grief of this kind. Every family is different, with a unique set of traditions and a special dynamic. So instead of trying to pretend that my advice will work for everyone, I will tell you how, in my life, I have overcome the grief of missing a loved one at the Thanksgiving table. As a kid I looked forward to seeing my uncle every holiday. His warm smile and sense of humour always made me feel at home. He would do this thing where he would shake my hand and roll my knuckles every time he greeted me. Sure it hurt, but it was a special moment that he and I shared several times a year. Something I will always cherish. Some of my fondest memories include talking with him and telling him how school was going or about the sports I was playing. He was just one of those people that brightened your day ever so effortlessly. At every Thanksgiving dinner for as long as I can recall, my uncle would have everyone join hands so that he could give the blessing in our language (we are a bilingual family). When I was really young it was hard to understand. However, as I grew older, his blessing epitomized what it means to truly give thanks. I learned what gratitude is from my uncle. When I was 21, away at college, my mom called one crisp Spring morning to tell me that he had passed away from an illness. Naturally, the news made me sad. But for months I set aside my grief and continued the throws of student life. It was not until Thanksgiving weekend that it really hit me. I will never forget the silence in the room when my family joined hands around that table. We had gathered, but no one had discussed who was going to say the blessing in his absence. It was hard and not having him there affected us all a great deal. With what took an unimaginable amount of strength, my aunt began to speak. She acknowledged the empty seat at our table and gave the blessing. That year was hard. But every year since, I have found ways to honour my uncle’s memory, even quietly, during Thanksgiving weekend. Here are some of the things that have worked for me. Now, without fail, I prepare a plate of food for my uncle and all of my loved ones that can’t be there at the table with me. It helps me feel like I have invited him, and them, to dinner with me. Thanksgiving tables can get pretty full, so I put the plate in a special place and feed it to the fire after the meal. Regardless of what is done with the plate afterword, the gesture will help conjure kind memories. In my family, we like to make toasts. So I always make one to my uncle, and to those family members that aren’t there. This is a powerful moment in which everyone at the table takes a moment out of their meal to acknowledge those people. Each year, we go around the table and talk about what we are thankful for while everyone is still eating. I usually bring up a fond memory of a holiday past or simply thank my uncle for always making it a special occasion. By simply mentioning his memory, I feel better about him not being there. Once dinner is finished, while we all gather around the TV, I like to bring up stories of my uncle to get people talking about him. This, again, helps me feel like he is there and part of it all once more. For every family, there can be a great peace brought about by sharing this type of conversation. If there are young ones around, they will learn some of what it was like to have a holiday with those who have passed on. It has been at different points throughout the Thanksgiving weekend, but since he left this world, I always have a quick chat out loud with my uncle at some point. Answering questions I imagine him asking, after rolling my knuckles, of course. This is something I do privately, but it nevertheless helps deal with the grief. What I have just shared with you has worked well for me since my uncle’s passing. And this year will be the first Thanksgiving that I will have without my beloved grandmother, who died during the Summer. Surely, it will be hard. But if the loss of my uncle has taught me anything it is that dealing with grief during the holidays is possible, albeit difficult. I learned that you can turn grief into a positive part of your holiday by honoring the memory of your lost loved one and celebrating the time that you did have with them. For every empty seat at the table is an opportunity to give thanks for a life that was lived and the time you shared together. That’s what this holiday means to me.